Elephant & Castle Restaurant with RoomsEnjoy a great night’s sleep at the Elephant and Castle in Wakefield city centre. With orthopaedic mattresses and premium pillows you really will have a restful sleep. Complimentary wifi keeps you connected during your stay and the flat screen TV provides your entertainment. Ensuite bathrooms include a shower over the bath as well as complimentary toiletries. 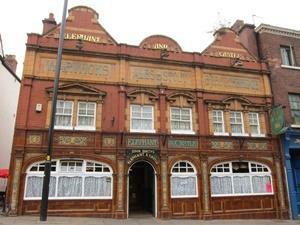 Enjoy a great night’s sleep at the Elephant and Castle in Wakefield city centre. The team are looking forward to welcome you on your next stay at the Elephant and Castle. Located in Wakefield city centre, a couple of minutes walk from Wakefield Westgate Train Station.